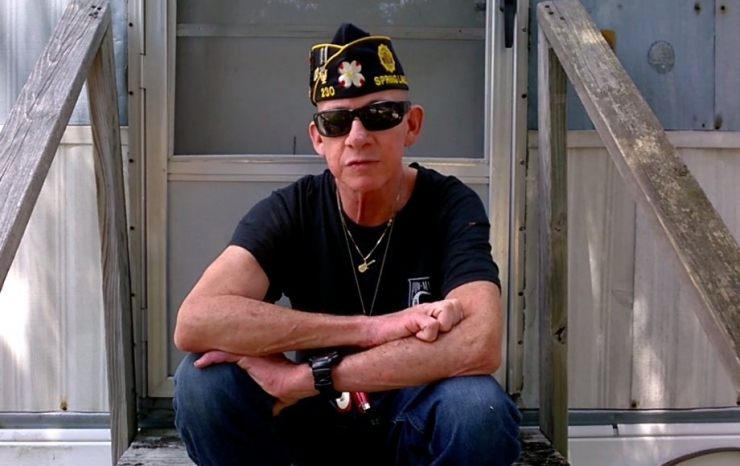 Before writing this story I was only vaguely familiar with what an American Legion does. They’re a staple of Americana in most towns big and small. Growing up in Ft. Wayne, IN, I knew them as the old brick buildings that fly an American Flag outside so big it dwarfs the building itself. At a glance, the American Legion is comprised of active-duty, veterans, and their family members. 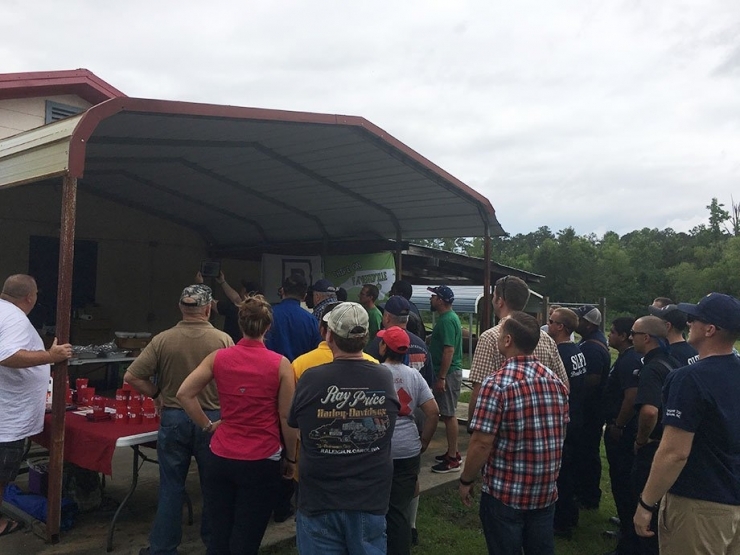 A group of patriots devoted to mutual-helpfulness as well as providing a sense of community to returning veterans. Provide a sense of community. It’s easy to breeze past that sentence except if you understand that the backbone of America is our communities. And nowhere else will you find a safer harbor when you need it most than the American Legion, whether you are a veteran or not. 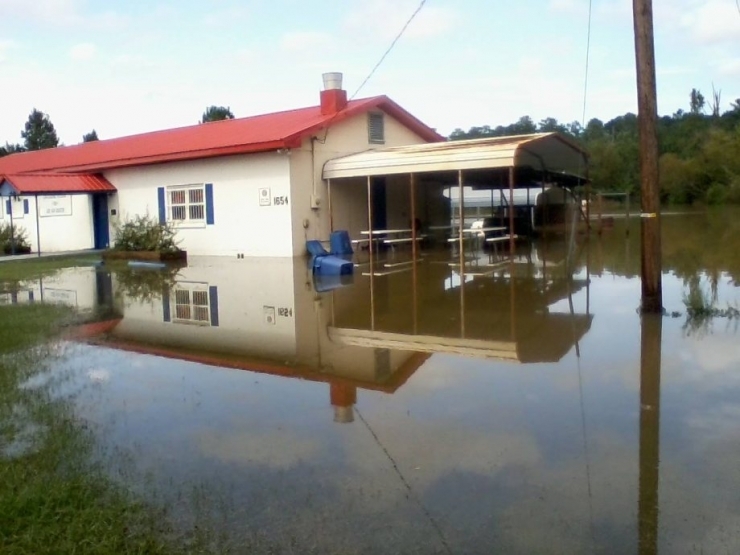 In 2016, the first category 5 Atlantic hurricane since Hurricane Felix in 2007 ripped through the southeastern United States. 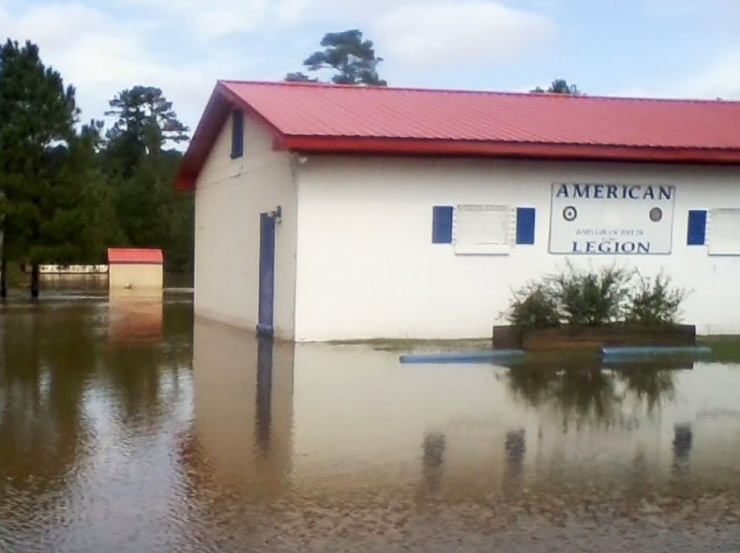 The flood devastated parts of North Carolina, leaving Spring Lake and its American Legion under water. The structure, built in 1950, did not hold up against the storm. 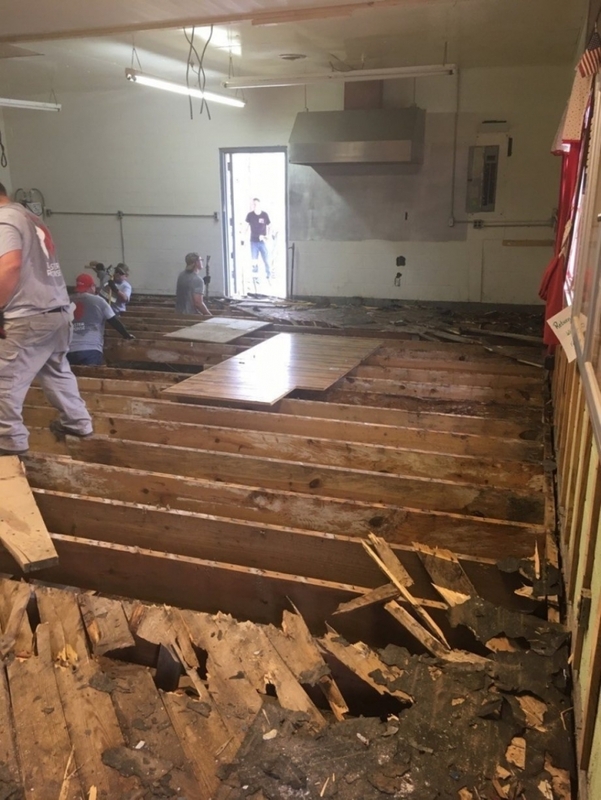 It became clear as they ripped out the warped wood that the structure could not be rebuilt. 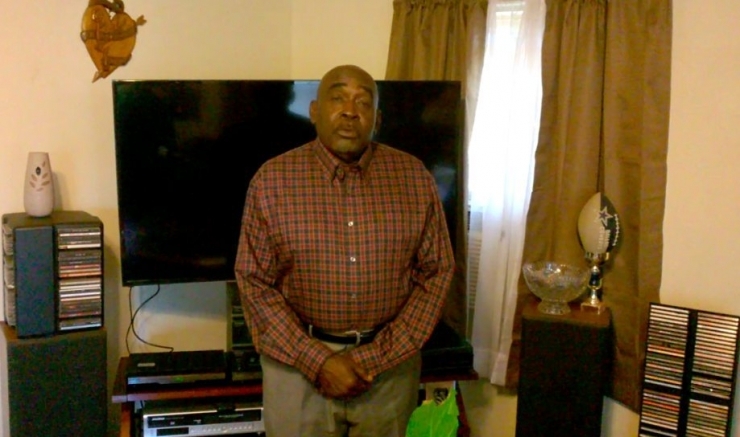 “I retired from the Navy in 2012 after 23 years and wanted to continue helping my fellow veterans. I’m an OR nurse. I believe our veterans not only fought for our freedom, I believe they fought for proper veteran care. I want to continue to do good in my community. 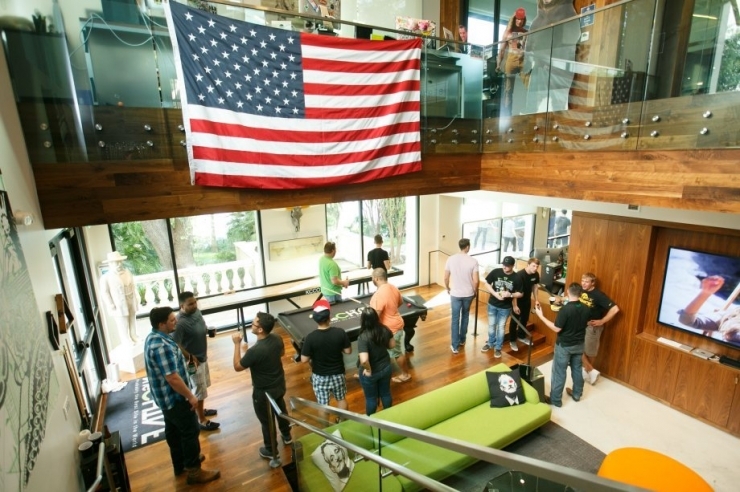 Every Friday, our active duty and veterans are welcome at the theCHIVE. They need no appointment and they will find that a seat at the bar is waiting for them. All are free to stay as long as they like. 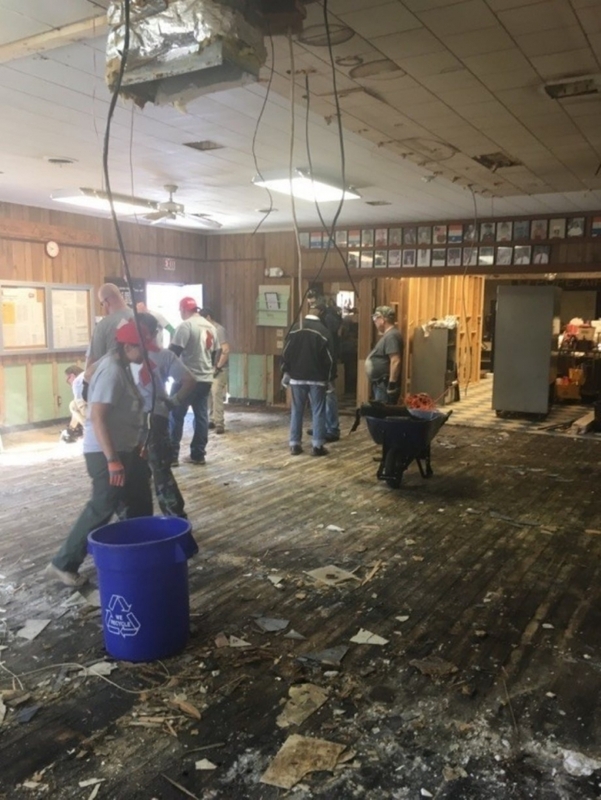 The building was so badly damaged in the flood they need another structure all together. It will cost $50,000. Last Friday, we got out a donation bucket to help American Legion Post 230. 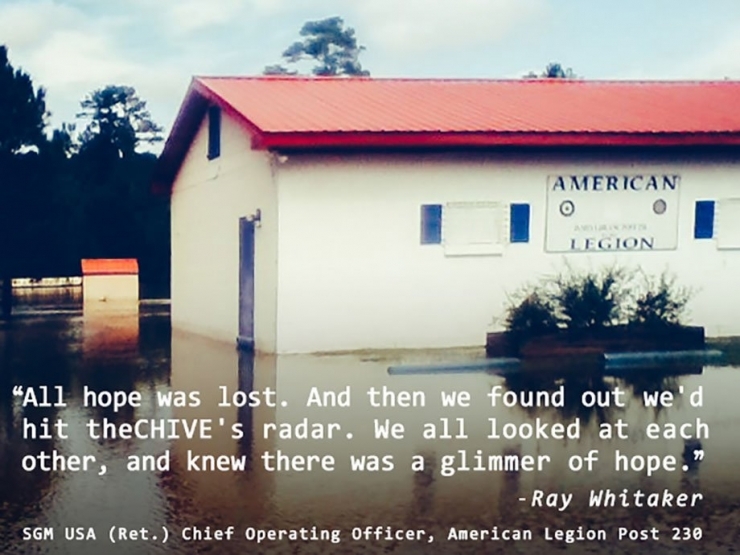 We might be a digital media company, but the Chivers are grassroots. Get the job done anyway you can. Period. 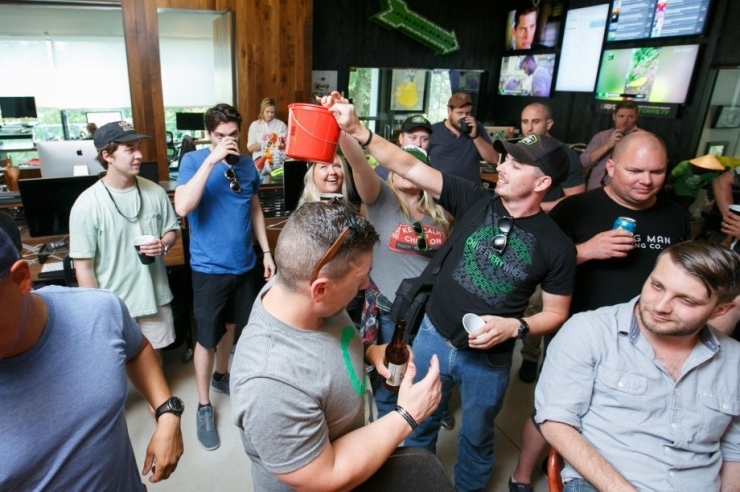 The bucket was passed around from veteran to veteran, many of whom had come to theCHIVE from across the country. Everybody got out their wallets. We quickly raised $1,090 for the American Legion just sitting there at the bar. Party with a Purpose indeed. I’ve been so moved by the stories of these men and women and those they have helped that we are going to make this easy. Chive Charities and our Green Members have donated $40,000 toward the construction cost of the new building. 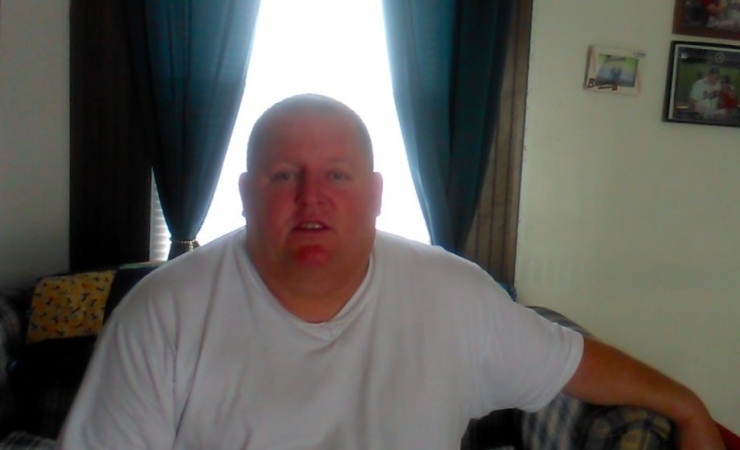 I ask theCHIVE community to go here and donate the remainder of the balance, just $10,000 more to go. Our communities in America, they are our roots. They stabilize us, and when one community is uprooted, I believe it to be the moral obligation of another community to help rebuild. Such charity gives us all the right to call ourselves citizens. Through our charity, we strengthen that which needs to be the strongest, our local community leaders. If we can reach this $10,000 goal the positive impact will be farther-reaching than you imagine. 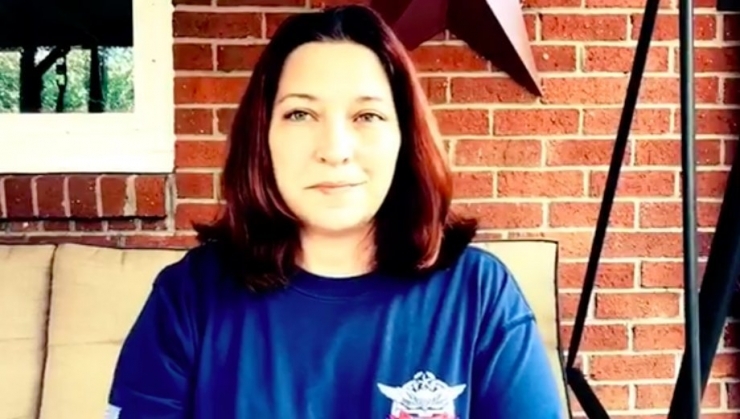 We will help our veterans, and they, in turn, will help the community they love. This is one goodwill snowball we should definitely nudge down the hill. The goal is $10,000, and we all know that will barely cover the cost, so feel free to do what you do there. I was sent this photo minutes ago. It appears the entire township is gathered at the old outpost watching the total rise. They also passed their own bucket around the gathering crowd; communities coming together, doing anything and everything they can to put the pieces back together again. 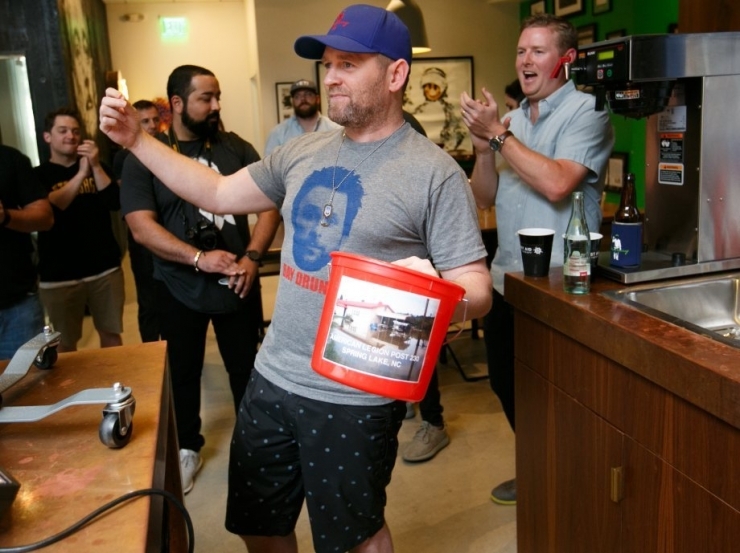 Let’s show them how the Chivers can fill a collection bucket, shall we? UPDATE #1: I’ve been in some meeting this afternoon. Refreshed page to see us about to clear $14,000. Chivers are doing it again!